"It wasn’t easy to face the fact that my company (and I) have lived long enough for it to be time to revisit our archives. If, like me, you have a penchant for throwbacks and nostalgia (it may be music, cars, antiques, films…) a shirt that brings back the good old days will make a characterful addition to your wardrobe." "This series of stripes was handpicked by Nick Wheeler from the Charles Tyrwhitt archives for a contemporary take on the traditional work wardrobe." I have purchased many of their shirts which have all been excellent. This shirt was purchased believing that it was to a no-iron shirt. It is not. 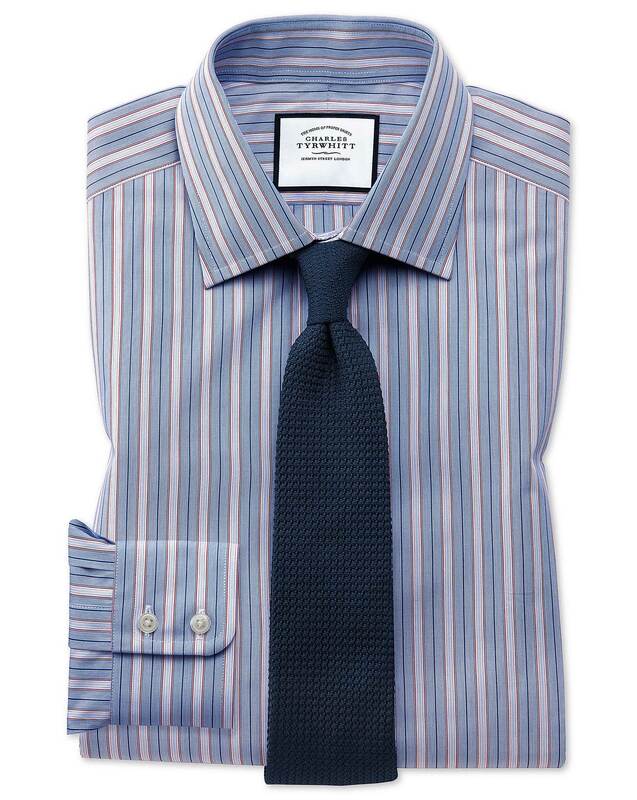 Response from Charles Tyrwhitt: A good tip for the future if you are looking for our non-iron shirts is to choose your shirts based on the product reference - those beginning 'FON' will be non-iron, whereas those beginning 'FOR' will not. You can also use the 'refine by' menu on the left of the page to select only non-iron shirts. Please do feel free to return this shirt to us if you won't be able to fully enjoy it and we'll gladly exchange it for you.